Welcome to Happiness! 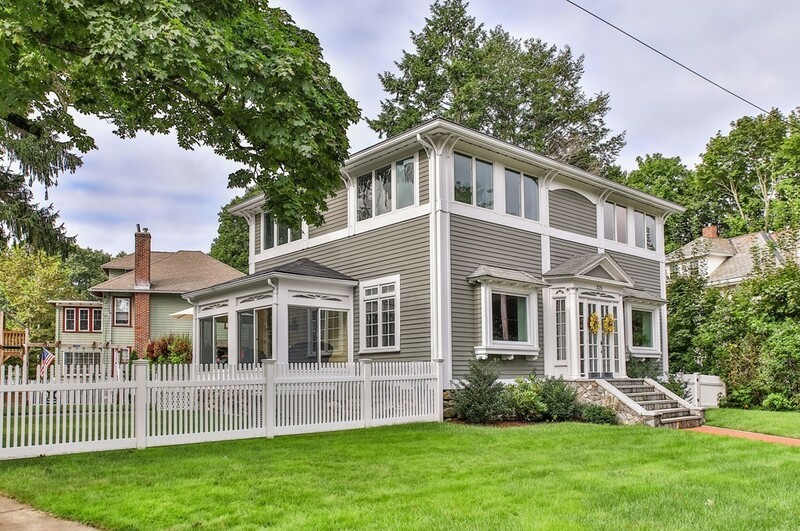 From the moment you enter this Classic Colonial you will experience the warmth and charm of a beautiful family home. Every space has been thoughtfully and tastefully improved. You will enjoy an open plan , perfect for today's living.The first floor consists of a front to back living/dining room ,adjacent to a bright sun room,overlooking a large enclosed side yard, a fireplaced study, half bath and a magazine quality kitchen. The second floor offers a large master suite and two completely renovated full baths .In addition there are two family size bedrooms and a completely redone lower level . Too many improvements to list...see agent. Door Furniture And Play Set.